All 500-plus employees from London to L.A. will take part. 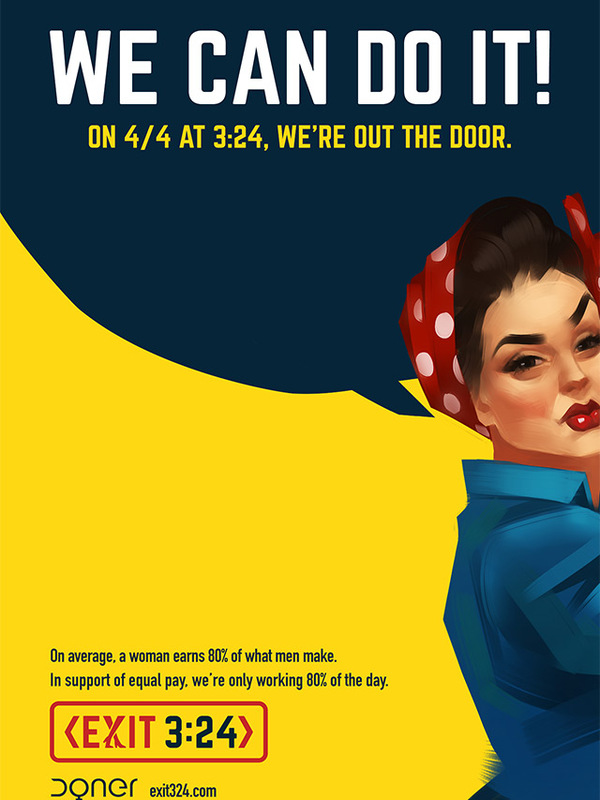 Global ad agency Doner is using Equal Pay Day as an opportunity to take a stand in support of gender equality as applied to both representation and compensation … while potentially getting a bit of positive press in the process. Doner’s stunt, “Exit 3:24,” is simple: Each of Doner’s 500-plus employees around the world will leave the office at 3:24 p.m. after working 80 percent of the day in order to bring attention to the U.S. Bureau of Labor Statistics’ estimates that women make, on average, 80 percent of the pay awarded to men in similar positions. The agency made this video to illustrate that fact in the simplest possible way: with children and cupcakes. Exit 3:24 from Doner on Vimeo. In addition to the video and the literal act of walking out, Doner also promises to “commit to a comprehensive wage audit” in the interest of ensuring that its male and female employees are paid fairly for the work they do. “Our hope is that others will join us in this commitment to making progress on an issue that unreasonably persists across a majority of industries,” said Doner global president and CEO David DeMuth, noting that the project stemmed from an internal survey that identified “fairness” as a potential area for improvement. “Kudos to Doner for committing to equal pay and inviting other agencies to take the pledge to join them,” said a statement from 3% Conference founder Kat Gordon. 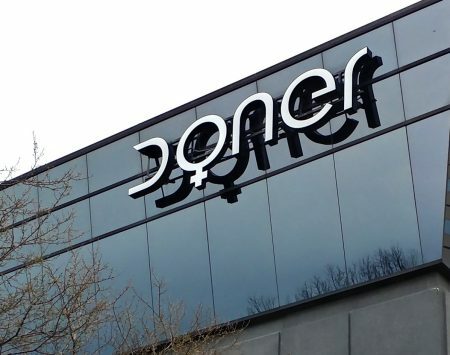 In a symbol of solidarity, Doner will also change the O on its Detroit office to the international women’s symbol. But to what degree is this project consistent with the agency’s own operations? A spokesperson for Doner’s parent company MDC Partners told Adweek that 40 percent of agency employees at the executive vice president level or higher are women. The agency’s Los Angeles office, led by evp and managing director Zihla Salinas, is currently 65 percent female and 28 percent people of color—and Doner claims to have successfully doubled its minority recruitment efforts over the past three years while raising the number of women hired from 49 percent to 55 percent of its overall total. Yet Doner itself serves as evidence that there’s work left to be done. 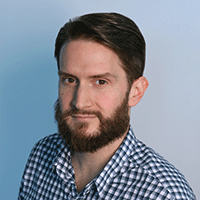 The network’s global creative department is currently 38 percent female, and that fact might make its headquarters a particularly fitting home for next month’s 3% Conference event.